If Britain chooses to leave the EU on Thursday, it will make economic waves both in the short and medium terms. One of the most immediate effects would be a sudden drop in the value of the pound, and a severe capital flight, according to analysts at Credit Suisse. 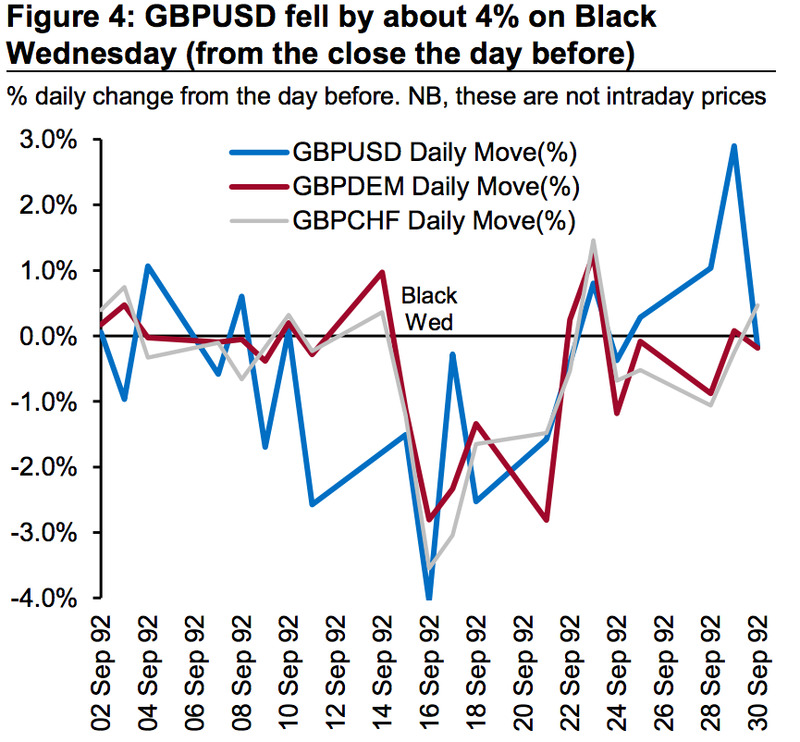 It could be as bad or worse as Black Wednesday — the day the pound collapsed in 1992 after the British government pulled the currency from the European Exchange Rate Mechanism after failing to defend its high valuation against the Deutsche mark. 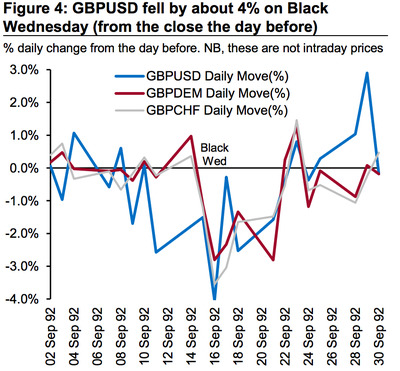 On Black Wednesday itself — September 16 1992 — the pound fell 4%. It had lost around 15% of its value by the end of the month. 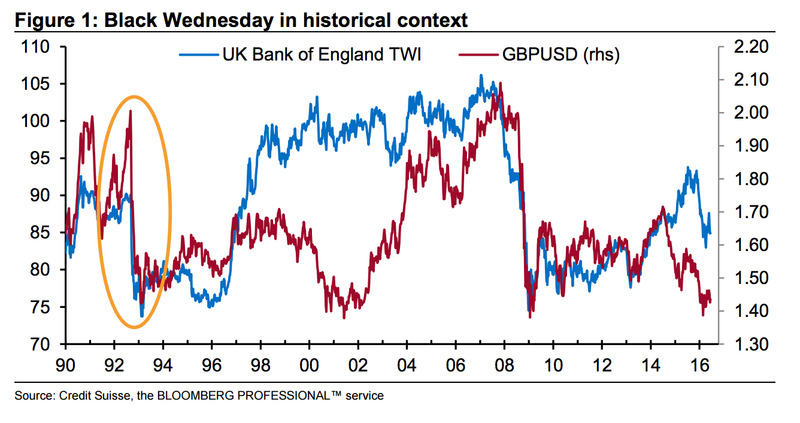 If the markets threaten a drop of a similar magnitude, the Bank of England might be tempted to step in to support the currency because the fallout from a collapse could be much worse than in 1992. With so much at stake, the Bank of England might want to try to prop up the currency, using its currency reserves it what might prove to be a costly fight.